Who was Sir Hubert Wilkins? Who was Sir Hubert Wilkins?s Sir Hubert Wilkins? 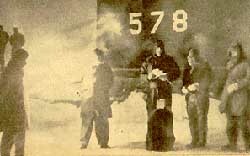 On March 17, 1959 the ashes of a member of "The Seventy," Sir Hubert Wilkins were scattered at the North Pole. He had lived a full life as an adventurer, a devoted truth seeker, and one of the greatest explorers of the twentieth century. He pioneered developments in the fields of motion picture photography and aviation. During the Balkan War in 1912, he made the first motion pictures of actual combat. He became a seasoned Arctic explorer. 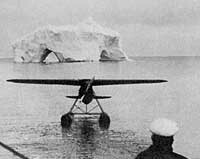 After going to the Antarctic with Ernest Shackleton's last expedition in 1921, Wilkins made pioneering air flights in both the Artic and the Antarctic. In 1929 he flew around the world in twenty-one days aboard the dirigible Graf Zeppelin. In command of the submarine Nautilus in 1931, he made his historic first voyage under the polar ice. In 1938 he undertook a series of experiments with Harold Sherman to see if mental telepathy could be used for communication with arctic explorers in situations where radio communications were difficult or impossible. In addition to his exploration of the physical extremes of the planet, Sir Hubert had a keen interest in exploring the cutting edge of science, psychology and spirituality -- anything which involved an attempt to explore and discover the unknown. He also had a keen interest in The Urantia Book and attended "Seventy" meetings for many years whenever he was in Chicago. The collection of correspondence below outlines some interesting details of this story. "Sir Hubert Wilkins was one of the most remarkable men of our century. Adventurer, explorer, scientist, dreamer of great dreams, Wilkins pushed man's knowledge ahead on a dozen frontiers." June 30, 1955 Letter to Mr. Adler -- He wants to buy 20 books from the initial publication. August 10, 1955 Letter from Marian Rowley -- Inquires about pre-publication purchase of books. September 1, 1955 Letter to Marian Rowley -- Desires to come to Chicago if there is going to be any celebration upon release of the book in print. September 22, 1955 Internal correspondence -- Regarding disposition of Wilkins pre-publication contribution. October 27, 1955 Letter to Bill Sadler -- Wants Marian to send him his notebook from the studies of "The Seventy"; gives his impressions of the new book. October 31, 1955 Introductory Letter -- A draft of a proposed letter of introduction for The Urantia Book; he is still worried about the arrival of his notebook. November 3, 1955 Letter from Bill Sadler -- Bill discusses what he thinks would be best in an introductory letter; comments on first shipment of books. November 8, 1955 Letter to Bill Sadler -- He discusses with Bill Sadler the introductory letters they are creating. November 28, 1955 Letter from Bill Sadler -- Regarding receipt of his notebook, request for information about his personal outreach efforts. November 28, 1955 Letter from Leona Sadler -- She tells him she's shipped his notebook. October 19, 1956 Letter to Alvin Kulieke -- Comments on his outreach activities; looking forward to completion of index. October 23, 1956 Letter from Marian Rowley -- Acknowledgment of book shipment, comments on his outreach activities. August 11, 1959 Letter from Dartmouth College to Dr. Sadler -- Initial inquiry regarding information to be included in the archive of materials related to the life of Sir Hubert. August 14, 1959 Letter from Dr. Sadler to Dartmouth College -- Dr. Sadler wants a copy of The Urantia Book to be included in the archives of Sir Hubert's work. Dr. Sadler comments on Sir Hubert's participation in the Forum. Dr. Sadler read an article about Sir Hubert in the Reader's Digest and wanted to be sure that information about The Urantia Book was included in the records and stories about Sir Hubert's life. January 3, 1960 Letter from Lady Hubert Wilkins -- She writes to Jim Mills, noting that Lowell Thomas is writing a book about Sir Hubert and has asked for information about Sir Hubert's involvement with The Urantia Book. January 6, 1960 Letter from Dr. Sadler to Lady Hubert Wilkins -- Dr. Sadler has learned that Lowell Thomas is writing a biography of Sir Hubert and he indicates that Thomas should say anything he wants about The Urantia Book in his writing; says he would be glad to meet with Thomas if he so desired so that he could provide additional information on Sir Hubert's involvement with The Urantia Book. February 26, 1960 Internal Memo from Jim Mills -- Jim Mills expresses reservations about the mention of The Urantia Book in Lowell Thomas' writing about Sir Hubert. June 27, 1960 Letter from Lowell Thomas' publisher to Dr. Sadler -- He sends a copy of the chapter from Thomas' biography of Sir Hubert which contains references to The Urantia Book. June 30, 1960 Letter Dr. Sadler to Lowell Thomas' publisher -- Dr. Sadler expresses concern -- "after discussing it with several officers of Urantia Foundation and Urantia Brotherhood" -- about the context in which information about The Urantia Book will appear in Thomas' forthcoming book. He has decided that he does not want any information about The Urantia Book to be included in the biography if it is associated with telepathy or extra-sensory perception. July 1, 1960 Note from Marian Rowley to Dr. Sadler -- She reinforces Dr. Sadler for his letter to Thomas' publisher and indicates that if it is not possible to control the content and context of comments about The Urantia Book in Thomas' biography of Sir Hubert that they should request the information not be published. 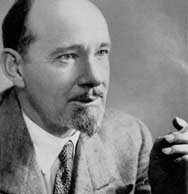 Lowell Thomas' biography of Sir Hubert Wilkins, one of the most publically admired explorers and adventurers of the twentieth century, was published in 1961. It contains no mention of The Urantia Book. Grierson, John, "Sir Hubert Wilkins: Enigma of Exploration," Robert Hale, 1960. Thomas, Lowell, "Sir Hubert Wilkins: His World of Adventure," McGraw-Hill, 1961. Wilkins, Sir Hubert, "Under the North Pole: The Wilkins-Ellsworth Submarine Expedition," New York: Brewer, Warren & Putnam, 1931. Wilkins, Sir Hubert and Sherman, Harold, "Thoughts Through Space: A Remarkable Adventure in the Realm of Mind," Hollywood: House-Warven, 1951.